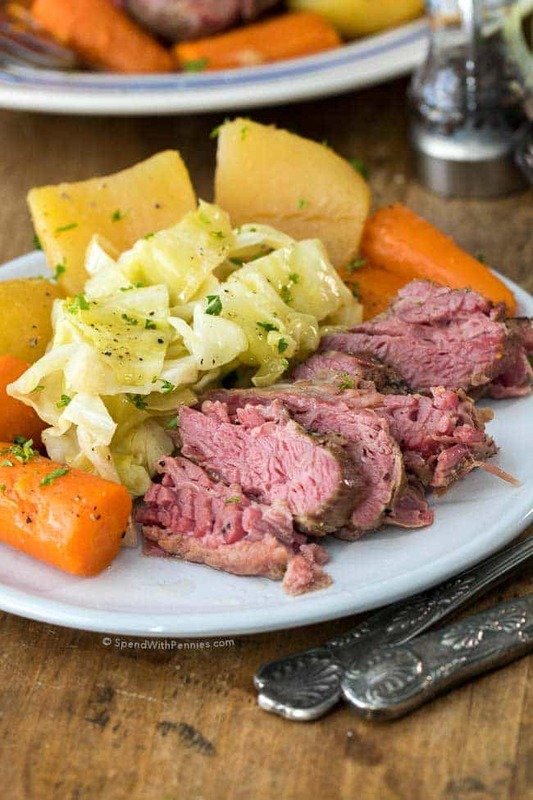 I have not personally cooked Corned Beef and Cabbage before, but I am super excited to try this recipe! The best part is I can cook it in the crockpot!! This is how I prefer to cook, a simple, tasty meal. I found this recipe on this site…take a look her recipes look amazing! This is an easy meal. I take the chicken thighs (preferably without skin) rinse and put in the crockpot, I add a little chicken broth and any seasoning you like. I usually use garlic powder, salt, and pepper. You can add onion, carrots, potatoes, anything you enjoy and set to cook for a couple of hours. This is a healthy meal my family eats well. I usually serve with any type of rice I have in the pantry. This is one that takes a little more time to prep, but you can do it throughout the day when you have time, and it makes for great leftovers. Breakfast burritos are also a meal I through into the mix quite a bit. It’s easy, and everyone in the family likes them. The eggs are on Sale! I then just add some type of meat and cheese along with any kind of vegetables you may like. I usually saute some green onions, and green pepper before cooking the eggs. I then just add cheese and a little salsa. If you don’t have a crock pot ….buy one!! They are so nice to have!! Save time and Money this Week!! What to wear on St. Patrick's Day...don't get pinched!